The Island of Maui is a Playground for Active Travelers and Beauty Seekers. This Bucket List Is Chock-full of All the Best Things to Do in Maui. How Many of These Activities Can You Check Off During Your Trip? When traveling to Maui – a place abundant with things to do – it is natural to wonder, where do I start? There are so many mountains to climb, waves to ride, foods to eat, and photos to take, that a trip to Maui can feel overwhelming. We hope you blocked off enough vacation days to tackle everything on this bucket list. If an adventure to the majestic destination of Maui interests you, check out this list of the top things to do in Maui. On this list are activities that will satisfy everyone’s interest. Whether you are an adrenaline junky or a quiet explorer, you will find activities catered to you on this Maui bucket list. The waters are calling your name. There is a vibrant underwater world that is waiting to be discovered in Maui. Colorful fish, sea turtles, elaborate coral formations, and more are hiding under the crystal ocean waters. Renting a set of snorkel gear is one of the cheapest things to do in Maui. Grab your swim mask, your fins, and prepare to behold the intricate and captivating underwater world, just off the shore of Maui. 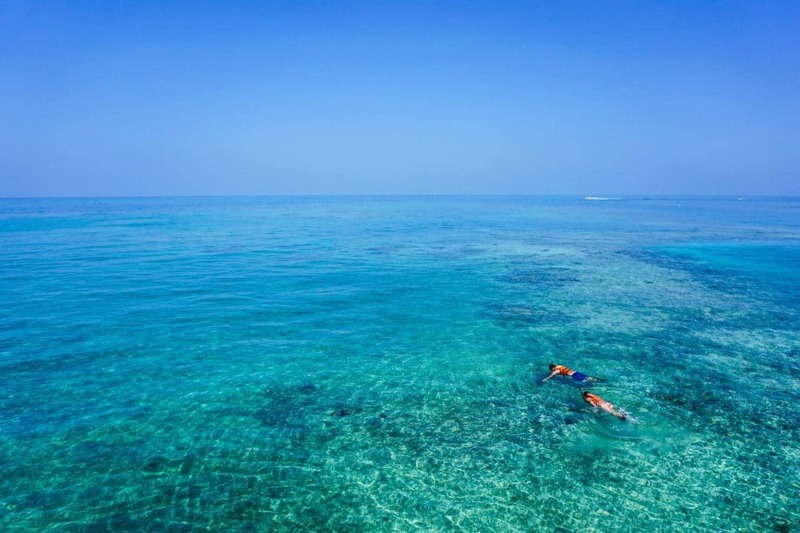 There are a number of snorkeling tours that travelers can sign up for. If you can, try to rent an underwater camera to capture all of the beauty that you will see. To witness Maui’s most beautiful views, pack into a car and drive down the coast. The Road to Hana is a scenic highway that crosses through rainforests and picturesque waterfalls. A trip to Maui must include a trip to Hana (and we recommend staying for more than one day here if you can – there is much to do!). As you drive down the Road to Hana, stop to hike the trails, lounge at the beach, or take in the serene waterfalls. Better yet, try to stop for all of the above. If you don’t intend of renting a car, there are several tour companies that take visitors down this scenic highway. What better way to see all of Maui, then from the sky? Taking a helicopter tour of the island will provide an unforgettable bird’s eye perspective of the great land of Maui. While the tours can be expensive, seeing Maui from such a unique view will be worth it. You will even be able to see areas of the island that you cannot access by car, boat, or foot. To discover the hidden treasures and delights of Maui, how about writing down a ride in a helicopter on your bucket list of things to do in Maui? It will be an incredible memory forever engrained in your mind. The views from the air are unmatched. If traveling to Maui for your honeymoon or on a romantic getaway, couples must go on a romantic sunset cocktail cruise. Watch as soft, warm, evening light pours out to create the most romantic of atmospheres. Couples are sure to enjoy this experience sailing on the water, wind blowing on faces and colors transforming in the sky. 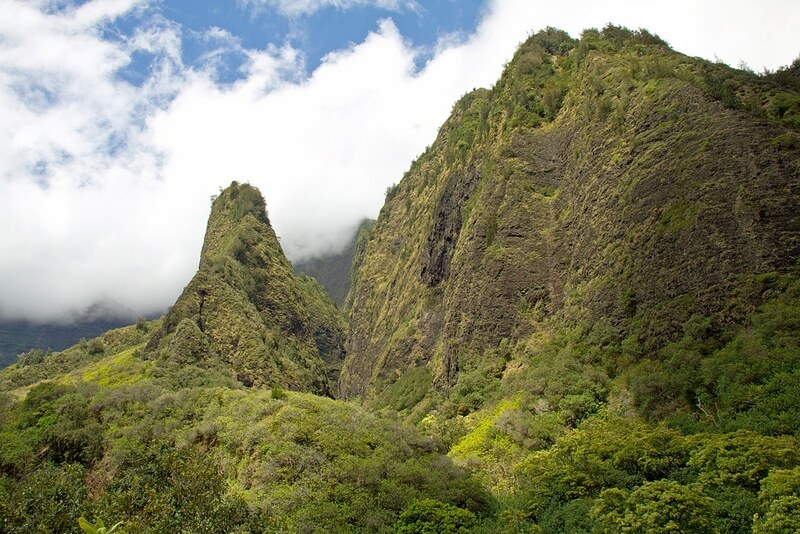 The famous landscape of Iao Valley State Park will cause travelers to reach for their cameras. No camera will be able to capture all of the wonder that is Iao Valley State Park, but the images will be laced with treasured memories to look back on. There are plenty of hiking trails to explore at Iao Valley. The most popular hiking trail is Iao Needle Lookout Trail and we highly recommend walking this path. The path is only 0.6-mile and leads to the iconic rock formation of Iao Needle. As travelers hike, they can also learn about the history of the area. From the lush greenery to the historical roots of the land, there is plenty to see and discover at Iao Valley State Park during your trip to Maui. Ocean activities are not lacking in Maui. Journey away from the shore and go canoeing, kayaking, or stand up paddleboarding on the ocean. There are many tour companies that are eager to take travelers out on the water for an enjoyable time gliding down the ocean. When the water is calm, we highly recommend renting a stand-up paddleboard. Whichever ocean activity you decide to participate in, you are bound to enjoy some good exercise while being in awe of the beauty that surrounds you. Yes, you can do such a thing in Maui. All of you adventurous travelers must go rappelling while on your trip. Rappel Maui leads travelers through hiking, swimming, and rappelling expeditions throughout Maui. Beginners and advanced rappellers are welcome to join the excitement. The only stipulation is that participants must be at least 10 years old. 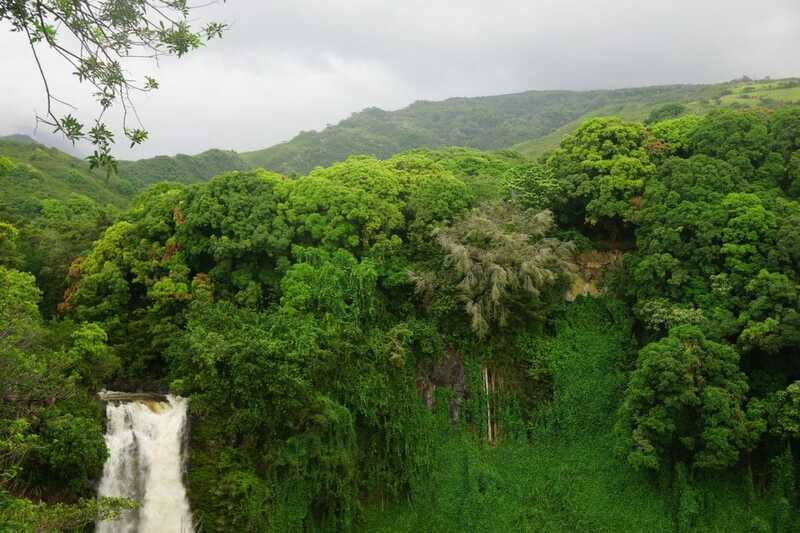 There is nothing like rappelling down the waterfalls and jungles of Maui. Are you a pineapple fan? You can’t beat the fresh taste of pineapple from Maui’s very own working pineapple plantation. Travelers can tour through the plantation, taste exquisite pineapple, and even take a pineapple home with them! Maui Pineapple Tours is, interestingly enough, the only tour in America of a working pineapple plantation. Therefore, you can’t-miss this destination when visiting Maui. Here, visitors can also learn about the rich history of the plantation. Be sure that a tour of the plantation is at the top of your list of things to do in Maui. How do you feel about biking? How do you feel about volcanos? If you are feeling good about both, how about biking down a volcano while in Maui? The largest volcano in Maui is Haleakala. 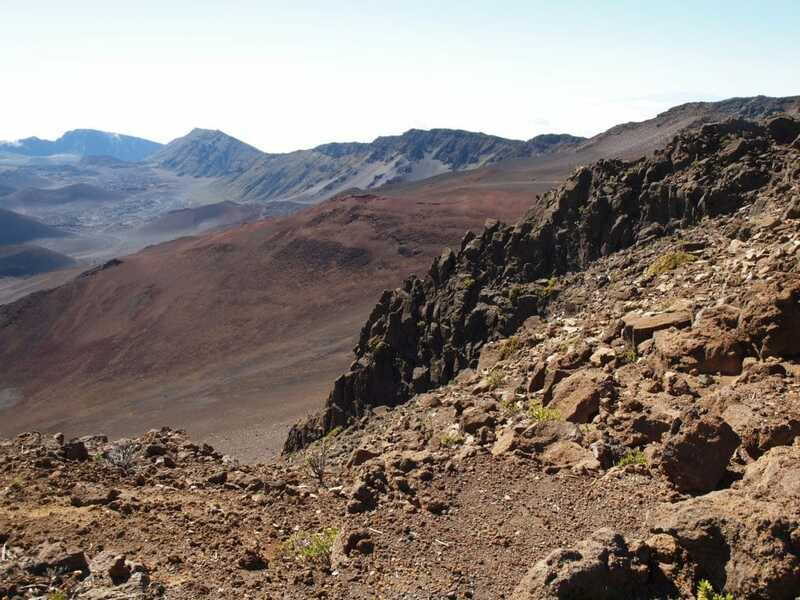 Haleakala Bike Company offers travelers an opportunity to ride 27 miles downhill, starting at the summit of Haleakala. Riders will be speechless biking down the volcano once they see the views. We hope the beauty isn’t too distracting that it takes you off course. Thankfully, bikers will have plenty of opportunities to photograph their journey. There are several pit stops along the way. When in Hawaii, you must wear a fresh flowered lei. There are very few “rules” concerning lei etiquette. Anyone can wear one and anyone can wear one at any time. Of course, for special occasions, leis are all the more common to see. Concerning the unspoken rules, it is kind to always receive a lei that is offered to you. Leis are given as a gesture of affection from one person to another, so never refuse one of these flowered symbols of affection. To wear a lei properly, drape the garland over your shoulders and allow it to hang in the front and back. On your trip to Maui, you can learn even more about the history of the Hawaiian lei. These vibrant flowers will look stunning draped across your neck. Travelers wanting a thrill must go ziplining while vacationing in Maui. There are so many ziplines scattered throughout the island, so visitors will not have any problems finding one to zoom down. Ziplining your way through Maui allows for excitement and beauty. The landscape you will see as you rush down the line will leave you in awe. Travelers come from all over the world to scuba dive in the waters of Maui. We recommend Maui’s Southwest coast for the best scuba diving. Namely, Molokini Crater is a haven for marife line. This marine reserve is home to Hawaiian garden eels, masked angelfish, and more! It is one of the few places in the world where you can see such a lavish underwater world. 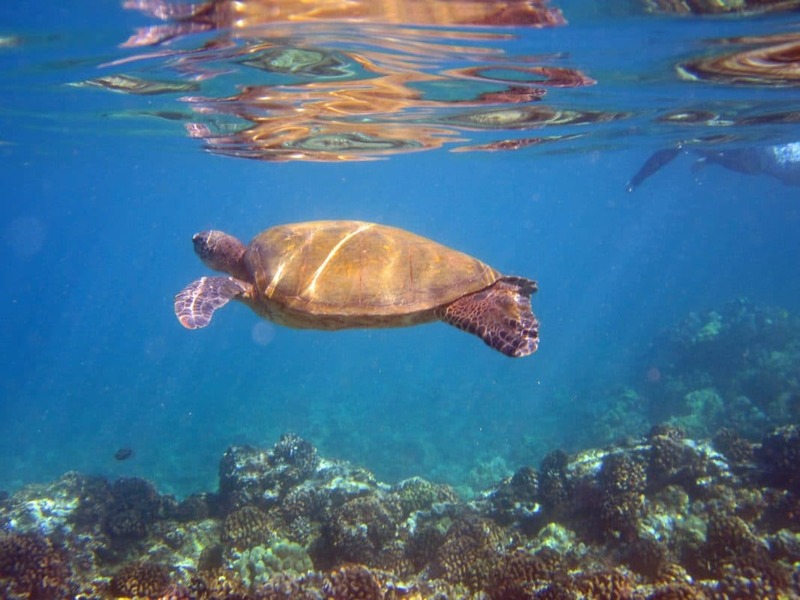 At Molokini Crater, you can also swim with sea turtles! Whether you decide to snorkel or scuba dive so that you can swim with these incredible creatures, you are sure to have an unforgettable time. There is nothing like seeing sea turtles for the first time. Kaanapali Beach extends 3 miles and is an ideal location for suntanning, swimming, and surfing. Many resorts line the beach and travelers can also find plenty of shops and restaurants at Kaanapali Beach. At the north end of the beach, Black Rock provides the best place for cliff-jumping. Or, if you prefer not to jump off a cliff, then you can watch from the shore as people dive into the water. 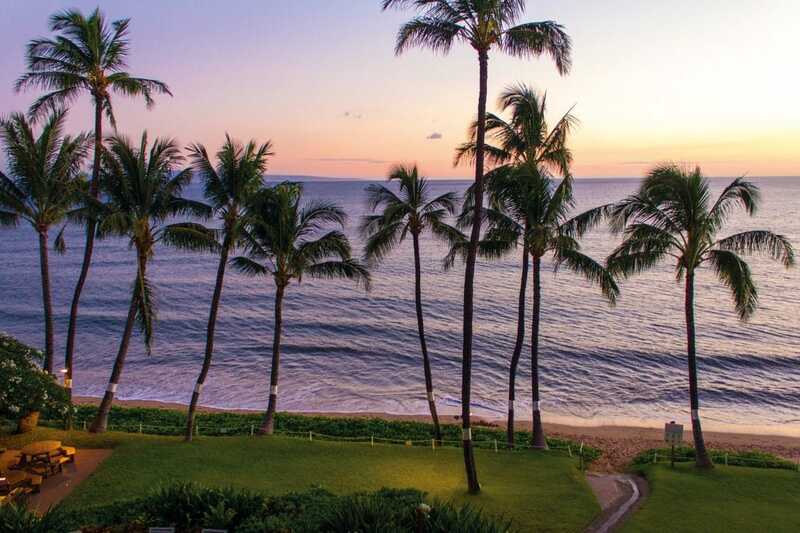 There is much to do at Kaanapali Beach and we think a visit to this long, sandy beach will be worth it. You really can’t travel to Hawaii and not attend a luau. There is no shortage of luaus in Hawaii. As for Maui in particular, there are several different luaus to choose from. We recommend the Feast of Lele or Old Lahaina. These two popular luaus will have you dancing along to the beat of the music. Attending a luau is one of the top things to do for first-time Maui visitors, so don’t miss out on the fun. Shave Ice is a Hawaiian delicacy that must be on every travelers’ list of things to do in Maui, Hawaii. Coming in a vast array of flavors (and therefore colors), Shave Ice can be found all over the island. There are certainly the common flavors of chocolate, vanilla, tropical punch, red raspberry, and lemon, but there are also out-of-the-box flavors to test out. Some of which include almond, green tea, guava, coffee, root beer, and cake batter. Try a combo of whichever flavors sound tasty and enjoy your experience of Shave Ice. Hawaii showcases beaches of many colors. If you have never been to a black sand beach, you must visit one while in Maui. Waianapanapa Black Sand Beach displays the beauty of black sand contrasted against vibrant green trees and emerald ocean water. 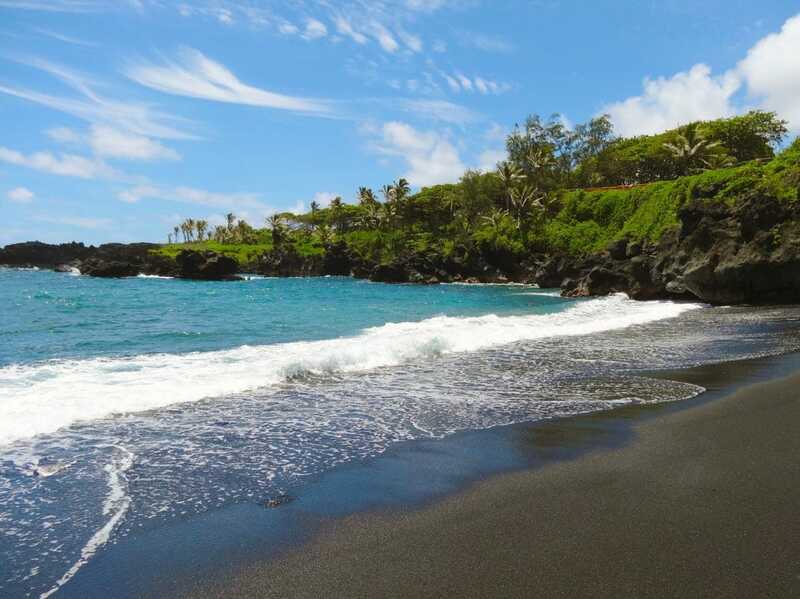 Located within Waianapanapa State Park, this black sand beach is a can’t-miss. For travelers who want to see the view, but not journey down to the water, they can snap a photo while driving along the Road to Hana. However, be aware that while the beach is beautiful, it is not made up of soft sand. Waianapanapa Black Sand Beach is more of a place that you admire than anything else. Professional surfers are welcome to ride the waves of Maui. However, if you have never paddled out and desire to learn how to surf, you are welcome to ride your first wave in Maui as well. Many companies offer surf lessons for beginners, so whatever your experience or comfortability on a surfboard, you can still ride. Travelers can also learn how to kite surf and windsurf while in Maui. There are great waves here waiting for you to catch them. Make sure surfing is on your list of things to do in Maui. Bamboo Forest is the actual name of the forest, and here you will find several good hiking trails. We advise that you not to wear sandals for this trek. Proper hiking shoes will suit you well as you climb through the bamboo forest. Because of the waterfalls, the grounds can get muddy. As long as travelers use caution and watch their step, a hike through Bamboo Forest is a must when exploring Maui attractions. Travelers can find roadside vendors selling coconut water from a real coconut, or they can journey to a local market and purchase a coconut. While in Hawaii, you will have to cut into a coconut and enjoy a drink of coconut water. Maui is a tropical destination and it doesn’t get much more tropical than drinking out of a coconut. The landscape of Haleakala National Park attracts millions of travelers to visit the park every year. The National Park famously holds the world’s largest dormant volcano. Should travelers want to hike into the crater, they will be led into a phenomenal landscape. There are also hiking trails outside of the volcano, which are stunning to walk upon. We recommend visiting the summit in the morning to catch the sunrise. Be sure to make reservations online before showing up for the sunrise. The majestic glow you will see as the sun rises into the sky is unlike any other place on earth. Those who would rather spend the day on the golf course than on the beach can do just that in Maui. Maui houses 14 golf courses, each featuring incomparable views of the island. Bring your clubs with you on your vacation to Maui, or rent a set of clubs on the island. Golfers will not want to pass up on the opportunity to play on one of the highly acclaimed golf courses on the island. Given the treasured and memorable landscape of Maui, the setting is the ideal background for family photos. Take photographs on the stunning white sand of Maui (or the black sand of Waianapanapa Black Sand Beach!). Families can also climb to the top of Haleakala and take a photo up there. Not many people can say they have family photos from the summit of a volcano or from the shore of a black sand beach. With all of the breathtaking views that Maui has to offer, be sure to bring your camera and take as many photographs as you can. If you enjoy exploring the outdoors, you will enjoy exploring all of the things to do in Maui. Lace up sneakers and hike through a bamboo forest, dig spoons into shave ice, throw on wet suits and check out the surfing scene, glide high into the air on a helicopter tour of the island. We love that the list of things to do in Maui is never-ending. We hope this bucket list of the top things to do in Maui has sparked some inspiration in you. You are sure to fall in love with the island from the moment your eyes see its radiant beauty. Which of these activities off the bucket list of things to do in Maui sounded best to you? Share in the comments how you would spend your time while on vacation in Maui!